Double Oak Resort is a pet-friendly, family-owned resort located directly on Table Rock Lake near Branson, Missouri! We understand some people just need to get away from life’s distractions to relax, and other people need a place for the whole family to experience life together. 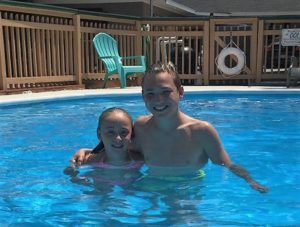 If you and/or your family could enjoy a getaway, Double Oak Resort is the place for you! 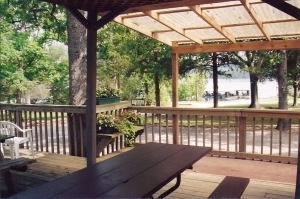 All units are on a hill, sheltered by towering bluffs, and overlooking Table Rock Lake. With trees providing shade, sit back and enjoy the view or take a short walk on the gentle slope leading down to the water. 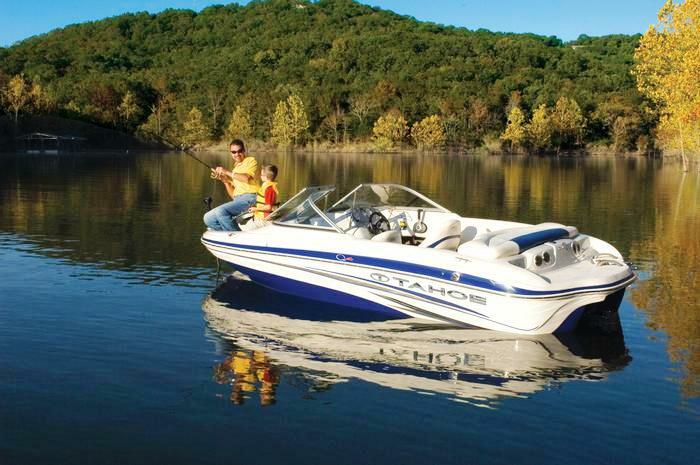 Table Rock Lake features miles of wonderfully clear, traffic-free water for your enjoyment. 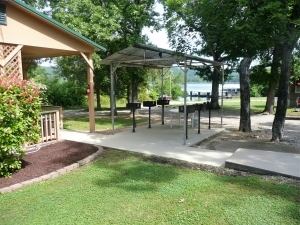 When a sack lunch just won’t suffice, take advantage of the covered picnic shelter equipped with tables, grills, overhead fans, and lighting. With lots of room, it’s the perfect place for family reunions! Our playground is ready for the kids to have some fun. 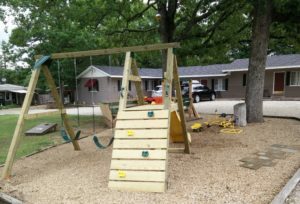 We have digging toys for the little ones, hopscotch, corn hole toss, ladder ball, etc. It’s located right next to the adult swing and seating area, as well as near the pool and pavilion so it’s easy to keep an eye on your kids. The pool is located just outside your room. It’s equipped with two sun decks; perfect for you to kick back and relax while watching the kids. Or … jump in and enjoy the cool water on those hot summer days. Pool is open from Memorial Day through Labor Day. Table Rock Lake is much to beautiful to just look at. Get out on the lake by taking advantage of the free kayaks, paddle boat, and/or boat rentals available. Also, don’t forget the 15′ Aqua Jump Water Trampoline able to launch kids into the air before making a splash of epic proportions! Trampoline is available for use from Memorial Day through Labor Day. Table Rock Lake is a boaters paradise! 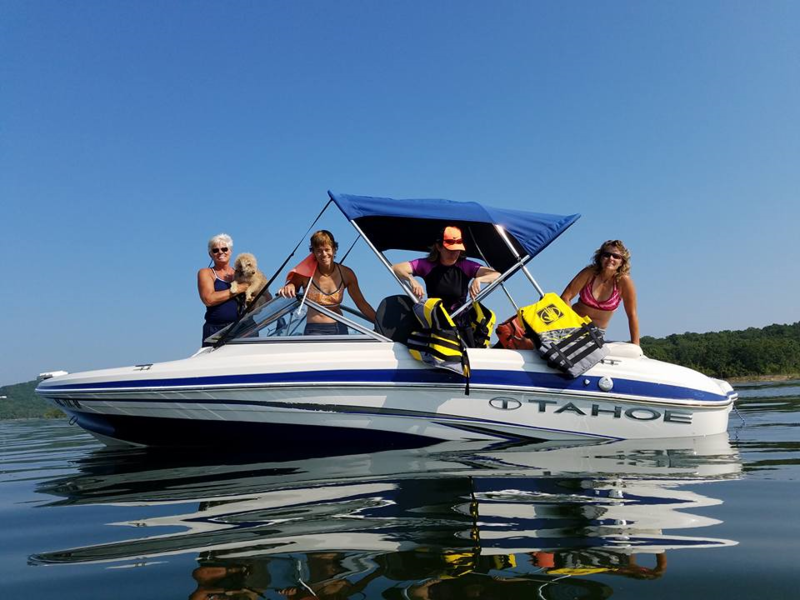 We offer a limited quantity of boat rentals available to our overnight guests only. 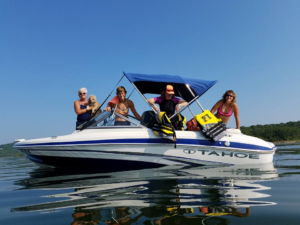 If we don’t have what you’re looking for, “Hide Away Marina” is right next door and offers a variety of watercraft rentals for fishing or playing. 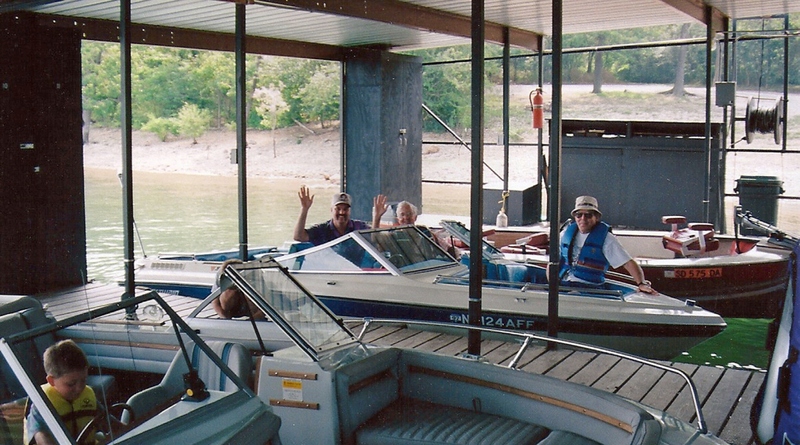 For those who have their own boats, Double Oak Resort offers complementary boat slips in our covered, lighted dock with free lockers and electrical hook-ups. Slips are 10 feet wide and well padded. 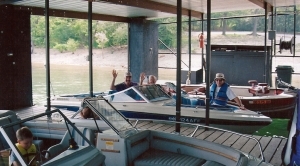 Our dock features a swim/sun deck and is located in a protected “Idle Speed/No Wake” area on Table Rock Lake with safe and secure boat tie-ups. 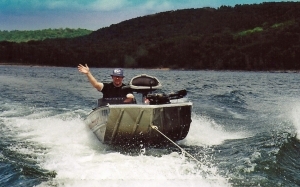 World class fishing is what Table Rock Lake is renowned for. 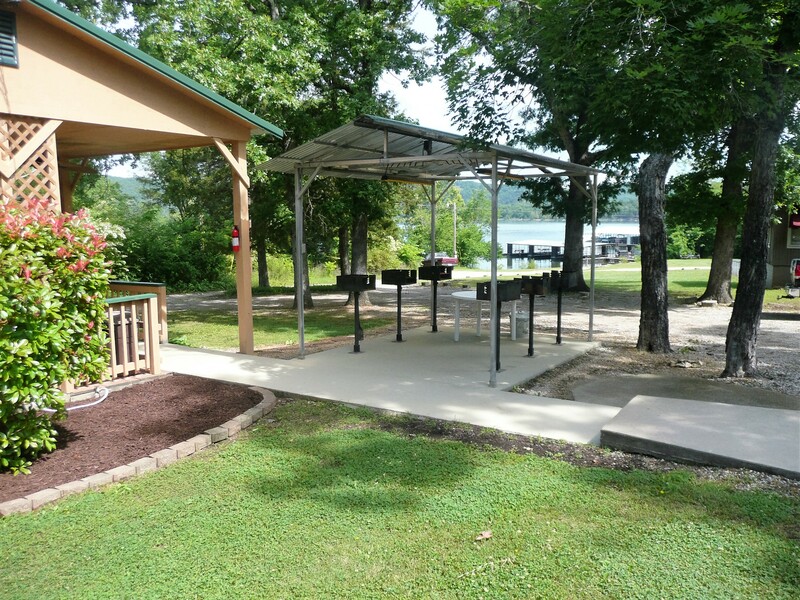 Double Oak Resort is set on the James River arm of Table Rock Lake which provides outstanding fishing with plenty of “hot spots” nearby. In fact, one of those ‘hot spots’ is directly off of our very own dock! So if a Missouri fishing resort is what your looking for, Double Oak Resort is the perfect fit. 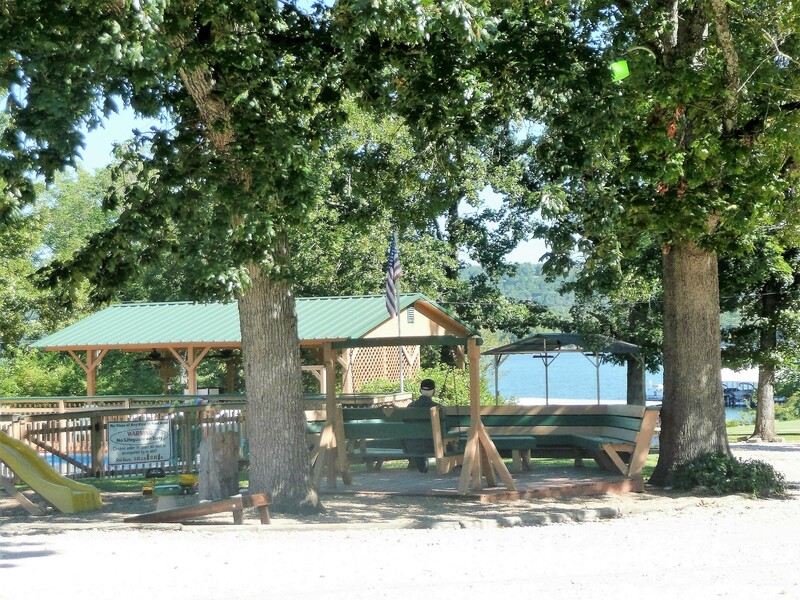 Double Oak Resort on Table Rock Lake provides a secluded, quiet, and relaxing location away from the crowds and traffic while still being near all the excitement and fun of Branson and the Ozarks of southwest Missouri. Staying at our lake front resort will place you near the shows and attractions of Branson, Missouri (including Silver Dollar City and White Water) that have made Branson famous! Whether it’s a Missouri family vacation you’re looking for or a Missouri fishing resort that grabs your attention, Double Oak Resort on Table Rock Lake is the place to be! Contact Us today to start planning your vacation!